B’nai B’rith Camp has assumed management of the BBYO program in the Portland-Metro area. This expands a 3-year old partnership where BB Camp shared the BBYO position. The new partnership will now include supervision of all local programming, finances, and fundraising. The goal of this partnership is to strengthen programs for local Jewish teens, increase the number of chapters, the number of members, and the reach of BBYO to include the entire Metro area. As both organizations approach 100-year anniversaries, this partnership expands the impact of this important teen program and helps BB Camp to fulfill the core mission of “building friendships for life”. The partnership fits perfectly in BB Camp’s 5-year strategic plan to become a year-round and life-long agency. 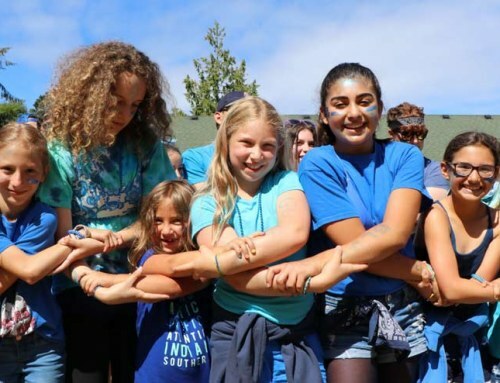 B’nai B’rith Camp and BBYO share common goals: to involve more Jewish teens in meaningful Jewish experiences and enrich their Jewish identity with a focus on personal and leadership development. BB Camp is seeking to expand teen leadership opportunities locally and will be partnering with BBYO to promote their national and international summer teen leadership programs. Currently, there are two Aleph Zadik Aleph (AZA) or boys chapters, Sol Stern AZA #65 and Chaim Weizmann AZA #360, and one B’nai B’rith Girls (BBG) chapter, Portland BBG #313. The current membership is approximately 90 teens. The goal of this partnership is to substantially expand membership and teen programming for our community’s teens. There has long been a synergy where BBYO leaders become counselors and leadership staff at BB Camp, giving back to the next generation of our campers. BBYO leaders, though, come from many backgrounds and attend a variety of Jewish camps, and we envision that this partnership will provide strong leaders for Jewish camps across the Northwest and for the future of Northwest Jewish communities. B’nai B’rith Camp is developing a job description for the Portland BBYO Director position; please contact Michelle Koplan (mkoplan@bbcamp.org) if you are interested in this position. There will be an alumni fundraising committee forming to help support local BBYO programming and scholarships for teen leadership programs; please contact Aaron Pearlman (apearlman@bbcamp.org) if you are interested in joining this committee. BB Camp and BBYO have additionally signed an agreement with the Mittleman Jewish Community Center (MJCC) to continue a partnership where the MJCC provides spaces for BBYO meetings and programs. As has been the tradition for decades, BBYO chapters meet every Tuesday during the school year at 7 pm at the MJCC (6651 SW Capitol Hwy, Portland). If you are a teen who wishes to get involved in one of our Portland chapters or is interested in starting a chapter in your community, please send an email to mkoplan@bbcamp.org. 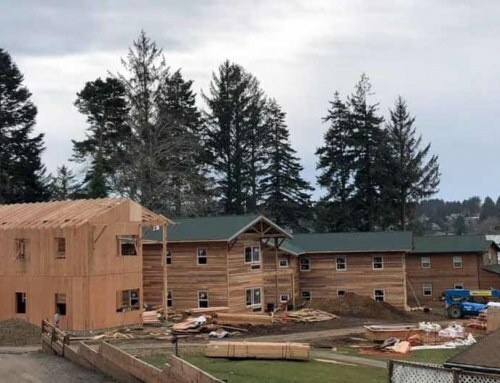 Located on a lakeside campus on the scenic Oregon coast, BB Camp is the premier Jewish resident camp in the Pacific Northwest. Since 1921, the camp has been dedicated to providing the best summer experience for today’s campers while preparing them to be tomorrow’s community leaders. BB Camp strives to teach the values and ethics of Jewish living by example, experience and creative expression. B’nai B’rith Camp has consistently proven to be a great place for youth to learn about themselves, their Jewish identity, their environment and how to relate to others. B’nai B’rith Camp’s overnight camp offers a wide range of activities, including arts and crafts, Jewish enrichment, athletics, waterskiing, sailing, canoeing, hydro-tubing, swimming in the heated, outdoor pool, dancing, nature, singing, high- and low-ropes challenge courses, climbing tower and zip line, leadership, community service, drama, creative writing, Shabbat celebrations, overnights and trips. BB Camp’s Day Camp is non-sectarian. B’nai B’rith Camp, an independent JCCA camp, is licensed by the State of Oregon and accredited by the American Camp Association (ACA). The camp has been ranked the seventh top non-profit to work for by the Oregon Business Journal’s Book of Lists for the past 4 years in a row.